This year I was wanting to liven things up at Thanksgiving and tried doing something different with green beans. I mean, I know that green bean casserole is a classic Thanksgiving dish...but I'm not a huge fan. Green beans flooded in cream of mushroom and topped with fried onions just wasn't sounding the greatest to me. And, I happen to be on a pomegranate kick lately. 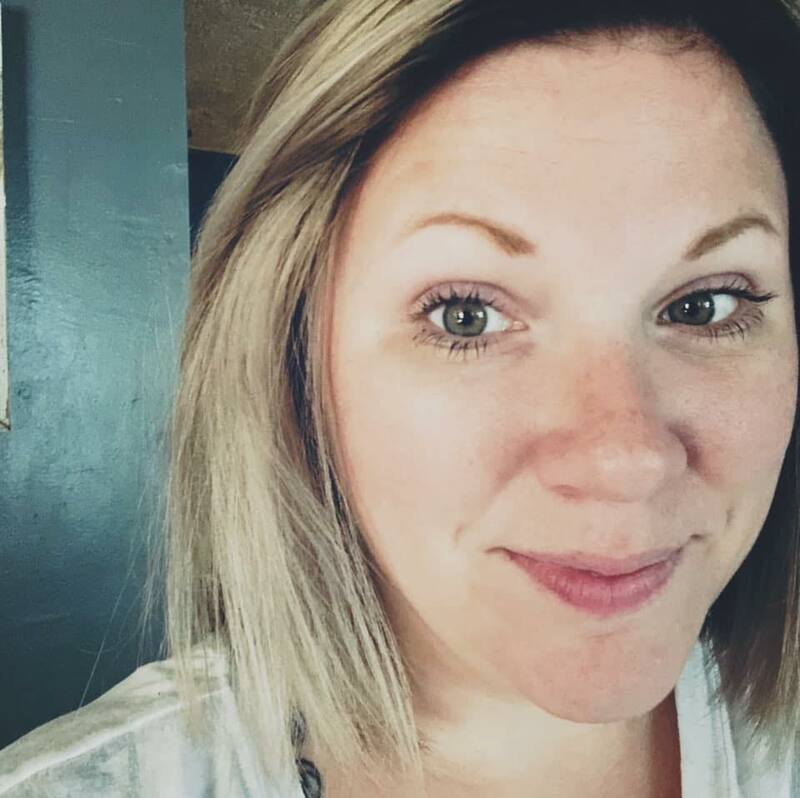 So...these just seemed almost to perfect! Plus my sister, who is mostly vegetarian, really thought this sounded wonderful. I can't let my sister down when she can't eat the delicious brined turkey. These are quick to come together (except for the cutting the beans in half - that is a wee bit time-consuming. But it is totally worth it, and they taste so, so, so great! Blanch the green beans for 2-3 minutes. Remove to cool water to stop the cooking. Add the almonds and cook until they are slightly browned. Drain the green beans and add to the skillet. Toss around gently until beans are coated with the butter and the almonds are mixed in. Cook for about 3 minutes, until beans are heated through. Pour everything from the skillet into a large serving bowl. 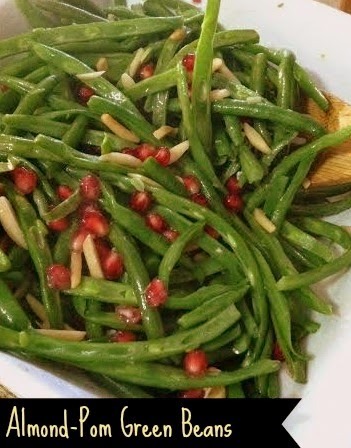 Sprinkle the pomegranate arils into the green beans and toss gently to mix.